The Icelandic Handball Federation shall pay a fine of 2,000 EUR each for not complying with EHF EURO 2010 Qualification Regulations. The Arbitration Tribunal looked into the matter of organisational shortcomings at an EHF EURO Qualification game and found that the Icelandic Handball Federation (HSI) failed to comply with the 2010 EHF Women’s European Championship Qualification Regulations. During the Qualification Round 2 game between Iceland and Austria on 18.10.2009 in Iceland the organising Federation violated the regulations on flooring requirements. The playing court at the game was covered by various sports line systems. 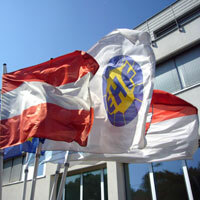 The EHF Arbitration Tribunal made the decision that the Icelandic Handball Federation shall pay a fine of 2,000 EUR.